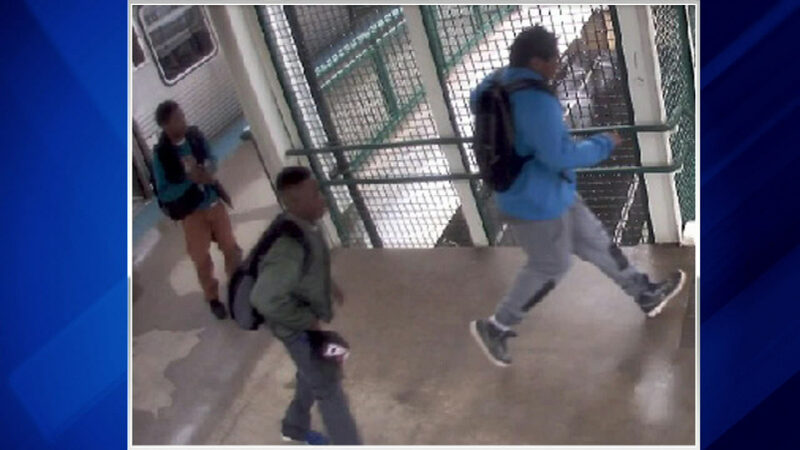 CHICAGO (WLS) -- Chicago police hope surveillance pictures will lead them to suspects in a pair of cellphone robberies on the CTA Green Line. Three teenagers are linked to the robberies, which that happened in the West Garfield Park neighborhood last Thursday. Police say in both cases, one of the teens allegedly grabbed another passenger's phone and ran out of the train at the Pulaski station. Anyone with information is encouraged to contact Chicago police. Chicago police hope surveillance pictures will lead them to suspects in a pair of cellphone robberies on the CTA Green Line.